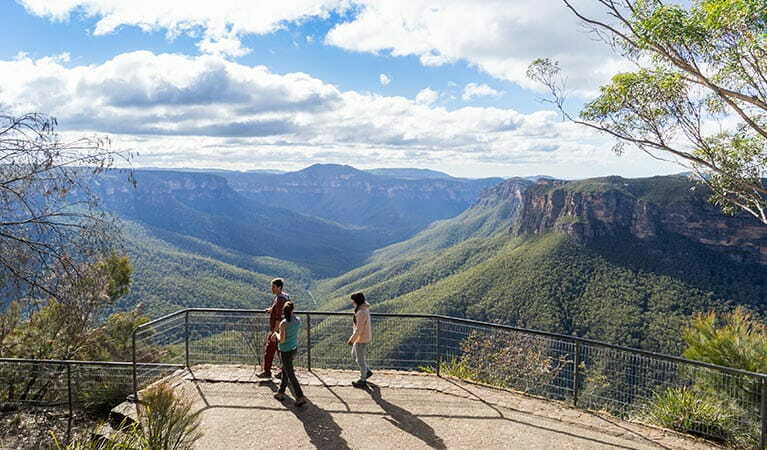 Setting out from Evans lookout near Blackheath in the Blue Mountains, be met with a series of waterfalls, creeks and spectacular views along the challenging Grand Canyon track. 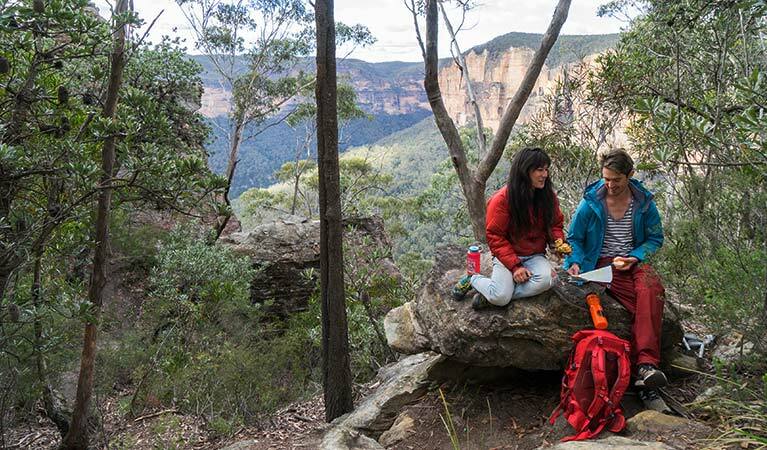 It's a good idea to fill in the free trip intention form and hire a PLB when planning your hike. 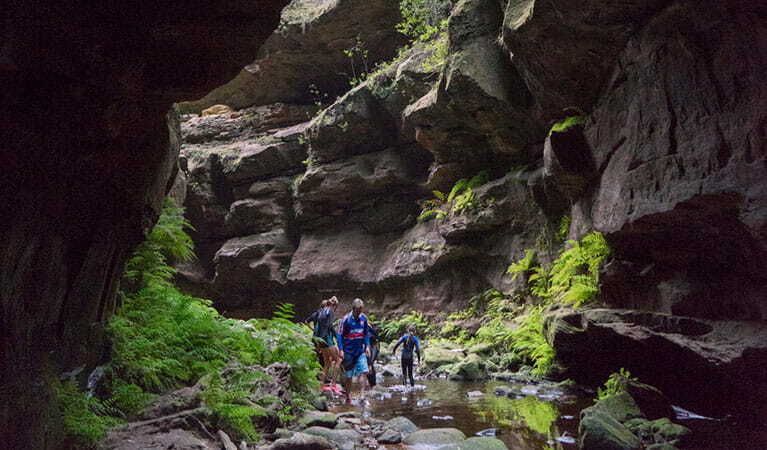 Bring a topographic map and compass, or a GPS. 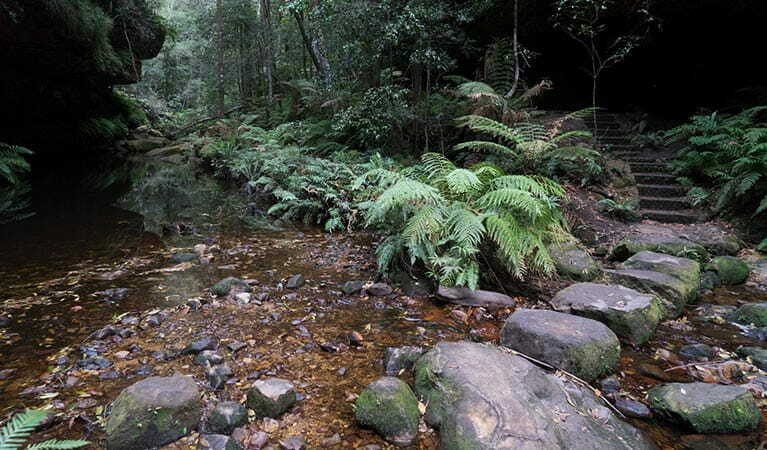 Check the weather before you set out as the creek can flood after heavy rain. 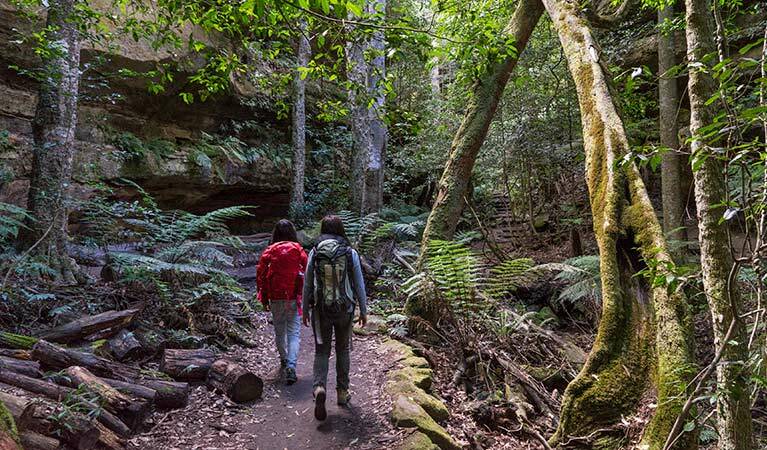 Download the free NSW National Parks app for iPhone or Android to use the park's maps and information without mobile reception. 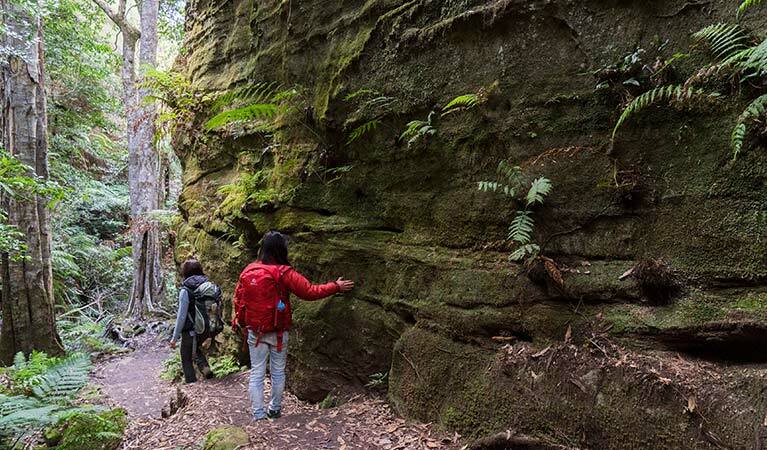 Although there are loads of semi-ledges which make up this challenging walk, you don’t need specialist hiking or abseiling equipment, so comfortable walking shoes are all you’ll need to get out there and explore. Still feeling energetic? 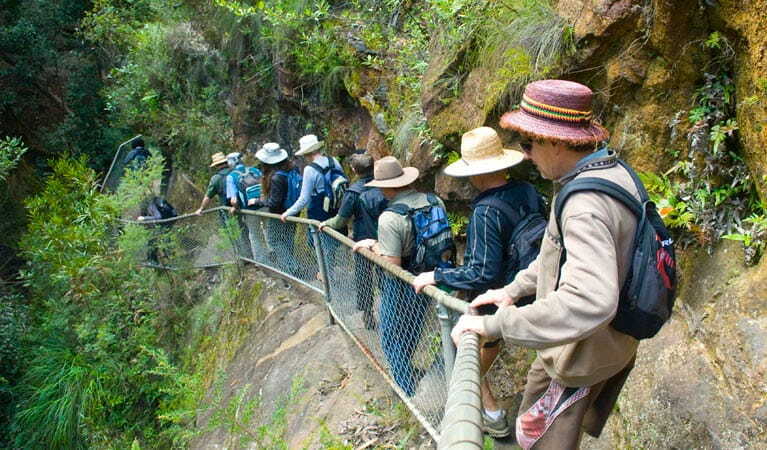 Try the nearby Cliff Top walking track. 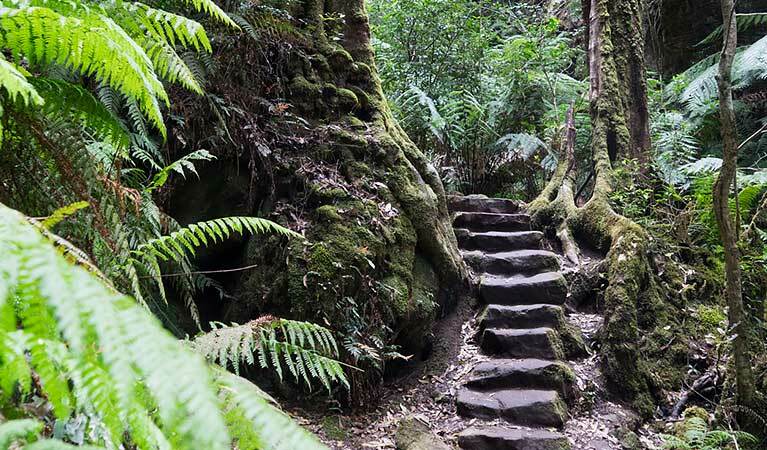 Take a virtual tour of Grand Canyon track captured with Google Street View Trekker. 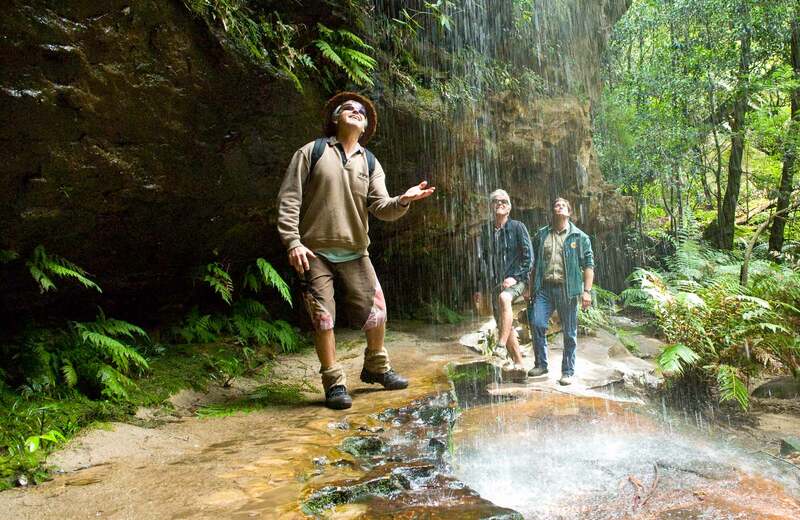 Experience this magnificent rainforest environment in the Blue Mountains National Park. 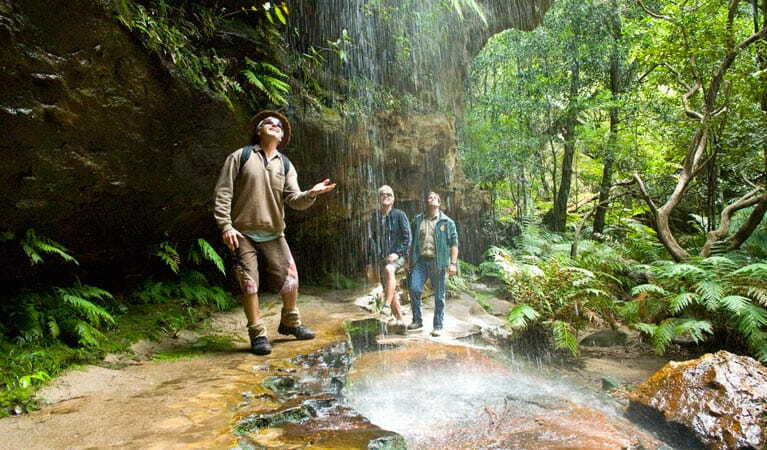 Descend into a special slot canyon, past creeks and waterfalls, and learn about local wildlife along the way.